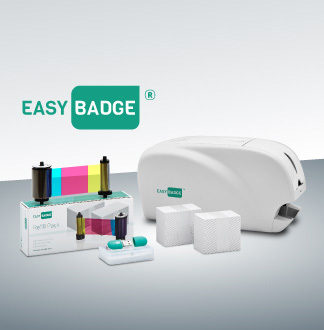 We stock an unrivalled selection of genuine ID card printer ribbons, ranging from full-colour and monochrome, all the way through to laminate films. 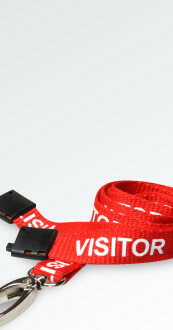 Our range of ribbons is compatible for use with all leading ID card printer manufacturers. 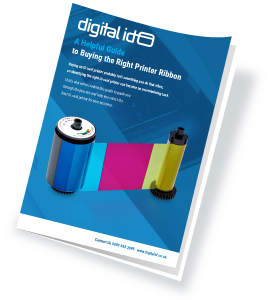 If you're unsure of the type of ribbon, you require then take a look at our helpful card printer ribbon guide. Not sure which brand your printer is? This ribbon is the most common ribbon across all card printers. 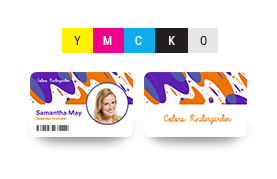 It prints a full-colour image, and it includes a black (“K” panel) for text and barcoding and also has the “O” overlay panel to add a protective layer to your card. A colour ribbon which includes an F or UV in it (e.g. 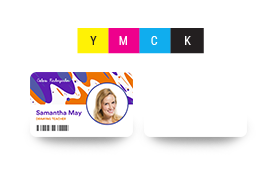 YMCKF, YMCFKO or YMCKOUV) has a UV panel which can be personalised on to the card to print a static or variable image as well as the standard full colour and black text including protective overlay. 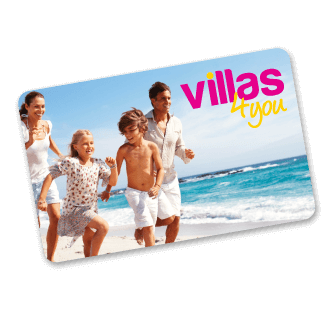 The UV image can only be seen when a UV torch is shone directly onto the card. 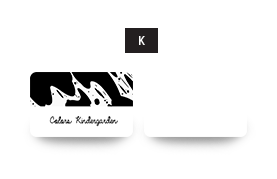 The monochrome ribbon is a single colour ribbon. The most common colours are Black, Red, Green, Gold, silver and White. 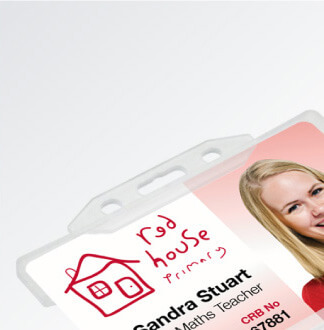 These are most commonly used to personalise text information and simple line art onto cards. 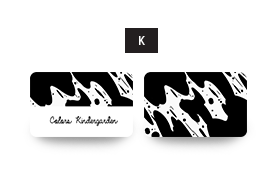 This ribbon is primarily used when printing a double-sided card when full colour is required on the front, but only black text is required on the reverse. 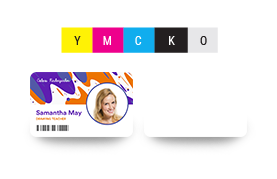 The extra K panel is used to personalise return to address or variable numbering or barcoding which are common elements on the back of a photo id card. This ribbon is also used when printing with a laminating or retransfer printer. 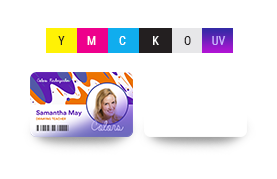 This ribbon does not have any built-in overlay panel, so it requires a transfer film or overlaminate patch to protect the dye from regular card use. 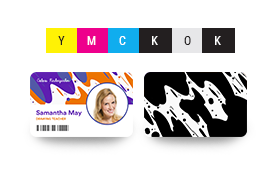 A retransfer film is used on a retransfer printer in conjunction with a colour ribbon (typically a YMCK or YMCKK ribbon) where the image is printed to the film, and then the printed film is bonded to the card by heat and pressure using a roller inside the printer. 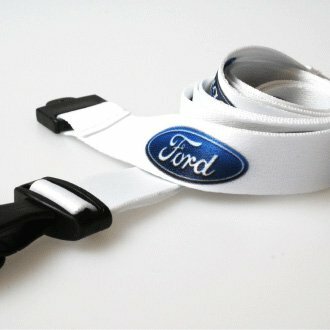 What are the different types of printer ribbons available? Are all the ribbons you stock genuine? Do all ribbons print the same number of cards? What is the best way to store ribbons? Can I use the same ribbon in different printers? What is the best way to dispose of a ribbon? How can I stop a ribbon from breaking? Yes. 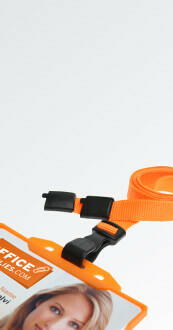 Every ribbon we stock is sourced directly from the manufacturer, and we pass on the savings directly to our customers. If you have seen a ribbon cheaper online, just let us know, and we’ll price match it. Nope. The number of prints per ribbon differs between the ribbon type you require, and the printer manufacturer. Please note that if the number of prints per ribbon is 200, this doesn’t mean 200 prints for each type of printer. 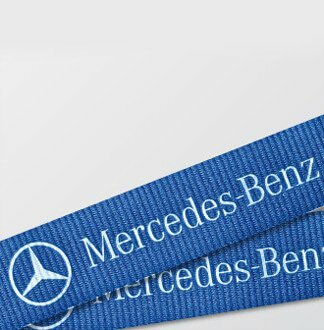 A single-sided printer will print 200 cards with this ribbon, where a dual-sided printer will only print 100 cards with this ribbon. In general, car printer ribbons have a shelf life of around one year. 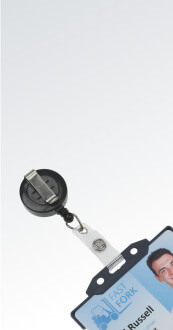 This will vary depending on the manufacturer and ribbon type you purchase. Please note that once a ribbon exceeds the time period stated above, it is more likely to rip or break during the printing process, which could result in further damage to the printer. We advise on keeping any un-opened ribbons in their original packaging and out of direct sunlight. 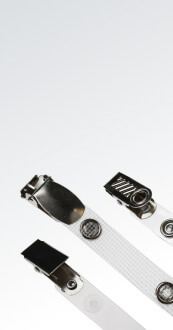 By only opening the ribbon before use, this protects the ribbon from dust and debris which could affect the overall quality of the card. Yes. 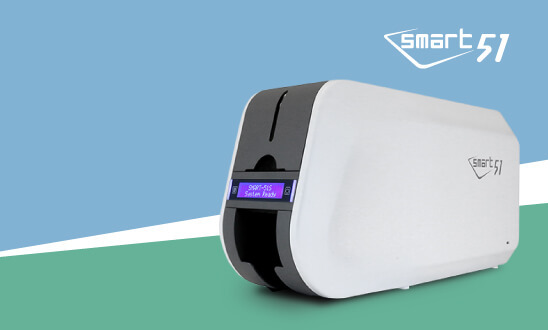 If the printer ribbon is compatible with a range of printers from the same manufacturer, then it can be used in multiple printers. However, if you are starting a new printing job or printing for the first time on a new printer, we advise on purchasing or using a fresh ribbon to ensure the highest quality print. Once a ribbon has been used, it is imperative that this is disposed of correctly. When using a YMCKO ribbon, a trial of data is visible on the Black resin panel. 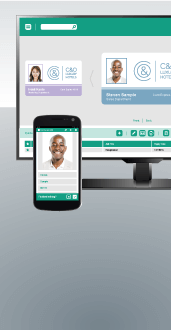 This means data such as a name, job title, department, and expiry date is there for anybody to see. If the ribbon was merely placed into a standard waste bin, it is not secure, and the data is visible for all to see, more so, this ribbon could be removed from the bin, potentially causing a major security breach. You’ll be pleased to know we offer both. Not undertaking a regular cleaning cycle of the printer. Trying to print full card coverage (over the edge) when you have a DTC printer. 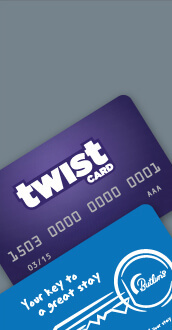 For full card coverage, you must be using a Retransfer printer. Increased colour intensity within the printer settings.